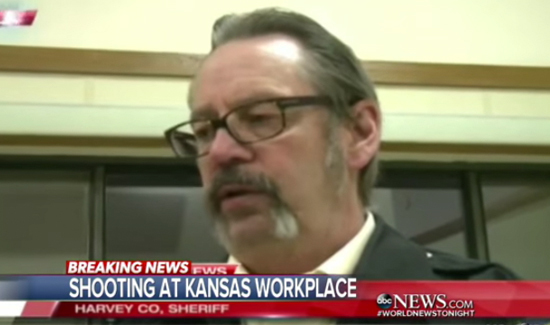 Three people were killed and 14 wounded in a horrific shooting at a Kansas workplace and two other locations Thursday evening, authorities said. The shooter, an employee at Excel Industries—one of the scenes—was killed by police, Harvey County Sheriff T. Walton said in a press conference Thursday. The gunman was identified as 38-year-old Newton resident Cedric Ford, two law enforcement sources familiar with the investigation told ABC News. When or if the identity of the officer is disclosed, we will let you know.